The Rangers are using caution with pitcher Yu Darvish as he makes his way back from Tommy John surgery. Darvish missed the entire 2015 season and is expected to return to Texas’s rotation by May. 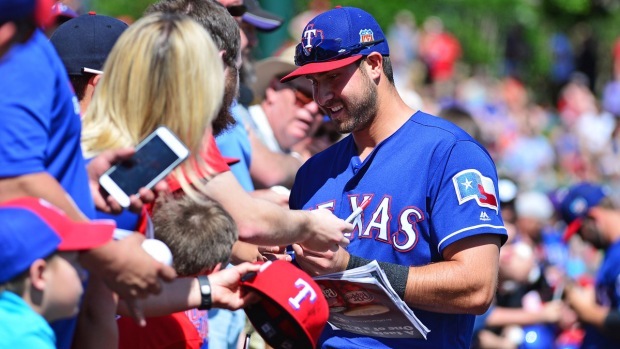 “I think, generally speaking, in this stage in a rehab you are throwing every other day,” Rangers assistant general manager Thad Levine said. 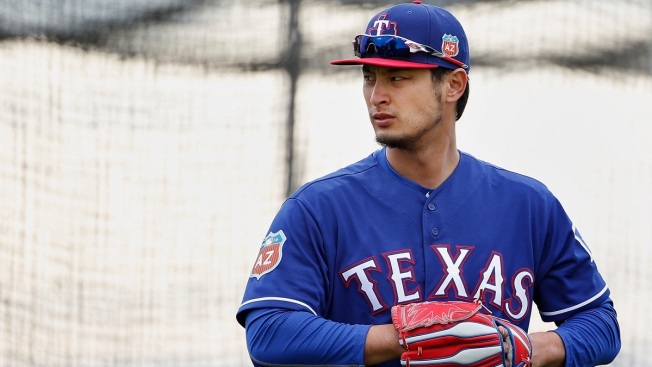 Instead, the Rangers have decided to allow Darvish to choose to add an extra day between throwing sessions. “Since we have some time to play with, I think we’re more inclined to make sure he feels 100-percent recovered when he steps on the mound,” Levine said. Darvish threw 17 pitches off a half-mound Monday. He followed that up with a 20-pitch workout off a half-mound Wednesday, which he could have pushed back to Thursday. Levine said Darvish will throw again “either Friday or Saturday, his preference,” and that it will be another half-mound session. Darvish told the media that he expects to throw 25 pitches in that workout.